I was in the midst of my 10-seasons-of-Smallville marathon back then so you can only imagine my excitement. It just had to be mine! 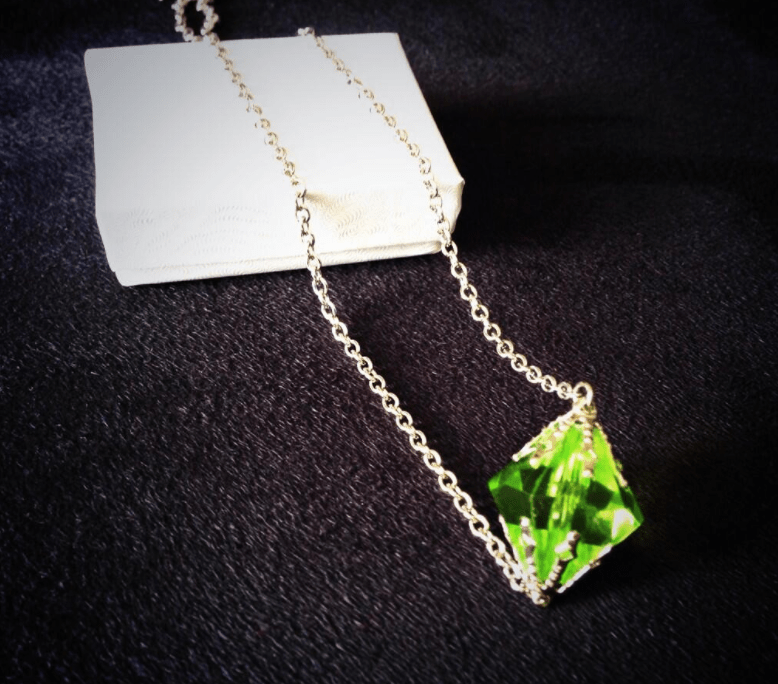 I visited the site (JinxyJewels) that claims to hand-make Lana Lang kryptonite necklaces: both green and white available. It was almost too good to be true so I placed an order that very night. The approximate delivery time to South Africa = 5 weeks! Fortunately, and much to my delight, it arrived a little more than 2 weeks later. The necklace is amazingly beautiful, well-made and a true replica. Where do you usually get your fandom charms and gems from? Looks awesome, must have one. loved smallville, CW is yet to make an equal. Arrow comes close but a bit too dark, hoping The Flash can help. Yes, you should check out the other stuff too 🙂 I’m certain you will like the others! Aah, I watch Arrow now and then but I’ll have to agree with you, nothing tops Smallville. I do like this sort of stuff too but never attempted to obtain one. Harry Potter wand might be good. oooh! lovely. Share a few pics?